Martin Seneviratne is a 2nd year student in the graduate medical program at the University of Sydney. He completed a BSc (Hons) in Physics and Biochemistry at the same institution, graduating with the University Medal in 2010. His research interests are in bioengineering and accessible medical technologies. Over the last five years, a number of overseas companies, such as 23andMe, have begun to offer direct-to-consumer (DTC) genetic tests to estimate the probability of an individual developing various diseases. Although no Australian DTC companies exist due to regulations mandating the involvement of a health practitioner, Australian consumers are free to access overseas mail-order services. In theory, DTC testing carries huge potential for preventing the onset of disease by lifestyle modification and targeted surveillance programs. However, the current system of mail-order genetic testing raises serious concerns related to test quality, psychological impacts on users, and integration with the health system. There are also issues with protecting genetic privacy, and ethical concerns about making medical decisions based on pre-emptive knowledge. This paper presents an overview of the ethical, legal and practical issues of DTC testing in an Australian context. The paper concludes by proposing five conditions that will be key for harnessing the potential of DTC testing technology. These include improved clinical utility, updated anti-discrimination legislation, accessible genetic counselling, Therapeutic Goods Administration (TGA) monitoring, and mechanisms for identity verification. Based on these conditions, the current system of mail-order testing is unviable as a scalable medical model. For the long term, the most sustainable solution is integration of pre-symptomatic genetic testing with the healthcare system. “Be on the lookout now.” This is the slogan of 23andMe.com, a Californian biotechnology company that has been offering personal genetic testing since late 2007. Clients mail a in a sample of their saliva and, for the humble fee of US$299, 23andMe will isolate their DNA and scan across key regions to estimate that individual’s risk of developing different diseases. Over 200 different diseases in fact – everything from widespread, life-threatening conditions including breast cancer and coronary artery disease, to the comparatively obscure such as restless legs syndrome. Table 1 gives an example of the risk profile with which an individual may be faced. Genetic testing has existed for decades as a diagnostic modality. Since the 1980s, clinicians have used genetic data to detect monogenic conditions such as cystic fibrosis and thalassaemia. These studies were conducted in patients already showing symptoms of the disease in order to confirm a suspected diagnosis. 23andMe does something quite different: it takes asymptomatic people and calculates the risk of diseases emerging in the long term. It is a pre-emptive test rather than a diagnostic one. 23andMe is not the only service of its kind. There is a growing family of these direct-to-consumer (DTC) genetic tests: Navigenics (US), deCODEme (Iceland) and Genetic Health (UK) all offer a comprehensive disease screen for under $1000 AUD. There are currently no Australian companies that offer DTC disease scans due to regulations that require the involvement of a health professional. However, Australian consumers are still free to access overseas services. Although no Australian retail figures exist, the global market for pre-symptomatic genetic testing is growing rapidly: 23andMe reported that 150,000 customers worldwide have used their test,  and in a recent European survey 64% of respondents said they would use a genetic test to detect possible future disease. The Australian market for DTC testing, buoyed by increasing public awareness and decreasing product costs, is also set to grow. Despite the deficiencies in the current model of mail-order services, personal genetic testing carries huge potential benefits from a healthcare perspective. The 2011 National Health and Medical Research Council (NHMRC) publication entitled The Clinical Utility of Personalised Medicine highlights some of the potential applications of genetic tests: targeting clinical screening programs based on disease risk, predicting drug susceptibility and adverse reactions and initiating preventative therapy before disease onset. Genetic risk analysis has the potential to revolutionise preventative medicine in the 21st century. The question is whether free-market DTC testing is a positive step towards an era of genetically-derived preventative therapy. Perhaps it creates more problems than it solves. What is the clinical utility of these tests? Is it responsible to give untrained individuals this kind of risk information? Could test results get into the wrong hands? These are the practical issues that will directly impact Australian medical professionals as genetic data infiltrates further into daily practice. This paper aims to grapple with some of these issues in an attempt to tease out how we as a healthcare community can best adapt to this new technology. What is the clinical utility of these tests? This variability is a reflection of the current level of uncertainty about precisely how genes contribute to many diseases. Most diseases are polygenic, with an array of contributing environmental and lifestyle factors also playing a role in disease onset. Hence, in all but a handful of diseases where robust genetic markers have been identified (such as the BRCA mutations for breast and ovarian cancers), these DTC test results are of questionable validity. An individual’s risk of Type 2 Diabetes Mellitus cannot simply be distilled down into a single numerical value. Even for those diseases where isolated genetic markers have been identified in the literature, the findings are specific to the population studied. The majority of linkage analyses are performed in North American or European populations and may not be directly applicable to an Australasian context. Population bias aside, there is also a high level of ambiguity in how various genetic markers interact. As an example, consider two alleles that have each been shown to increase the risk of macular degeneration by 10%. It is not valid to say that the presence of both alleles signifies a 20% risk increase. This relates to the concept of epistasis in statistical genetics – the combined phenotypic effect of two alleles may differ from the sum of the individual effects. The algorithms currently used by DTC testing companies do not account for the complexity of gene-phenotype relationships. For these reasons, the NHMRC states in its guide to the public about DTC testing: “At this time, studies have yet to prove that such susceptibility tests give accurate results to consumers.”  At best, current DTC testing is only valid as a rough guide to identify any risks that are particularly high or low. At worst, it is a blatantly misleading risk estimate based on insufficient molecular and clinical data. However, as our understanding of genetic markers improves, so too will the utility of these tests. Can customers handle the results? Assuming test quality improves, the next question is whether average individuals can deal with this type of risk information. What may the psychological consequences be if a healthy 25-year-old discovered that they had a 35% chance of developing ischaemic heart disease at some time during their life? One risk is that people with an unfavourable prognosis may become discouraged from caring about their health at all, because they feel imprisoned within an immutable ‘genetic destiny.’  As disease is written into their genes, they may as well surrender and accept it. Even someone with an average disease risk may feel an impending sense of doom when confronted with the vast array of diseases that may one day debilitate them. Could endless accounting of genetic risks overshadow the joy of living? It is fair to say that DTC testing will only be useful if individuals have the right attitude – if they use this foreknowledge to take preventative measures. But do genetic test results really cause behaviour modification? A fascinating study in the New England Journal of Medicine in 2011 analysed the behavioural patterns of 2037 patients before and after a DTC genetic test. They found no difference in exercise behaviour or dietary fat intake, suggesting that the genetic risk analysis did not translate into measurable lifestyle modification. In order for individuals to interpret and use this genetic information effectively, they will need advice from healthcare professionals. Many of the DTC testing companies offer their own genetic counselling services; however, only 10% of clients reported accessing these. The current position of the Australian Medical Association is that patients should consult a general practitioner when interpreting the results of a DTC genetic test. However, a forced marriage between commercial sequencing companies and the healthcare system threatens to create problems of its own. How should the health system adapt? A 2011 study in North Carolina found that one in five family physicians had already been asked a question about pre-symptomatic genetic tests, yet 85% of the surveyed doctors reported that they were not sufficiently prepared to interpret test data . In Australia, the healthcare system needs to adapt to this emerging trend. The question is – to what extent? Then there is the issue of how DTC genetic data should influence treatment. For example, should someone genetically predisposed to Type 2 Diabetes Mellitus be screened more regularly than others? Or, in a more extreme scenario: should those with more favourable genetic outlooks be prioritised for high-demand procedures such as transplant surgery? These are serious ethical dilemmas; however, the medical community has had to deal with such issues before, whenever a new technology has arisen. With appropriate consultation from ethics committees (such as the NHMRC-affiliated Human Genetics Society of Australasia) and improved genetic literacy among healthcare professionals, it is possible to imagine a symbiotic partnership between the health system and free-market genetic testing. How do we safeguard genetic privacy? If DTC testing is indeed here to stay, a further concern is raised: how do we protect genetic privacy? Suppose a potential employer were to gain access to genetic data – the consequences could be disastrous for those with a poor prognosis. The outcome may be even worse if these data were made available to their insurance company. In spite of the Privacy Act, individuals may still be forced to disclose their own test results to a third party such as an insurer or employer. There have been numerous reports of discrimination on the basis of genetic data in an Australian context. [20-22] The Australian Genetic Discrimination Project has been surveying the experiences of clients visiting clinical geneticists for ‘predictive or pre-symptomatic’ genetic testing since 1998. The pilot data, published in 2008, showed that 10% of the 951 subjects reported some negative treatment as a result of their genetic results. Of the alleged incidents of discrimination, 42% were related to insurance and 5% to employment. As genetic testing becomes increasingly widespread, a significant issue will be whether insurance companies should be allowed to request genetic data as a standard component of insurance applications. Currently, the Investment and Financial Services Association of Australia, which represents all major insurance companies, has stated that no individual will be forced to have a genetic test. But how long will this moratorium last? Suffice to say that the privacy and anti-discrimination legislature needs to adapt to the times. There needs to be careful regulation of how these genomics companies use and protect sensitive data, and robust legislation against genetic discrimination. Organisations such as the Australian Law Reform Commission and the Human Genetics Society of Australasia will continue to play an integral role in this process. However, there are some fundamental issues that even legislation cannot fix. For example, with the current system of mail-order genetic testing, there is no way of verifying the identity of the person ordering the test. This means that someone could easily send in DNA that is not their own. In addition, an individual’s genetic results reveal a great deal about their close family members. Consequently, someone who does not wish to know their genetic risks might be forcibly confronted with this information through a relative’s results. We somehow need to construct a system that preserves an individual’s right of autonomy over their own genetic data. DTC genetic testing is clearly a technology still in its infancy, with many problems yet to be overcome. There are issues regarding test quality, psychological ramifications, integration with the health system and genetic privacy. On closer inspection, this risk-detection tool turns out to be a significant risk in itself. So does pre-symptomatic genetic testing have a future? Let us analyse each of these propositions. Condition (i) will be gradually fulfilled as our understanding of genetic markers and bioinformatics develops. A wealth of new data is emerging from large-scale sequencing studies spanning diverse populations, with advanced modeling for gene-gene interactions. [25,26] Condition (ii) is also a likely future prospect – the report by the Australian Law Reform Commission is evidence of a responsive legislative landscape. Condition (iii) is feasible, contingent on adequate funding for publicly accessible genetic counselling services and education programs. However, given that the clinical utility of DTC risk analysis is currently low, it would be difficult in the short term to justify any public expenditure on counselling services targeted at test users. Conditions (iv) and (v) are more difficult to satisfy. Since DTC companies are all located overseas, they fall outside the jurisdiction of the Australian TGA. Given that consumers may make important healthcare choices based on DTC results, it is imperative that this industry be regulated. We have three options. First, we could rely on appropriate monitoring by foreign regulatory bodies. In the US, DTC genetic tests are classed as an ‘in vitro diagnostic device’ (IVD), meaning they fall subject to FDA regulation. However, in a testimony before the US government’s Subcommittee on Oversight and Investigations in July 2010, the FDA stated that it has “generally exercised enforcement discretion” in regulating IVDs. It went on to admit that “none of the genetic tests now offered directly to consumers has undergone premarket review by the FDA to ensure that the test results being provided to patients are accurate, reliable, and clinically meaningful.” This is an area of active reform in the US; however, it seems unwise for Australia to blindly accept the standards of overseas regulators. The second option is to sanction overseas DTC testing for Australian consumers. Many prescription medicines are subject to import controls if they are shipped into Australia. In theory, the same regulations could be applied to genetic test kits. However, it is not difficult to imagine ways around this ban, e.g. simply posting an oral swab and receiving the results online. A third option is to open the market for Australian DTC testing companies, which could compete with overseas services while remaining under TGA surveillance. In other words, we could cultivate a domestic industry. However, it may not be possible for fledgling Australian companies to compete on price with the large-scale US operations. It would also be hard to justify the change in policy before conditions (i) to (iii) are fulfilled. That said, of the three options discussed, this appears to be the most viable in the long term. Finally, condition (v) presents one of the fundamental flaws with DTC testing. If the health system was formally involved in the testing process, the medical practitioner would be responsible for identity verification. However, it is simply not possible to reliably check identity in a mail-order system. The only way DTC testing can verify identity is to have customers come in person to a DTC facility and provide proof when their DNA is collected. However, such a regulation would make it even more difficult for any Australian company to compete against online services. In summary, it is very difficult to construct a practical model that addresses conditions (iv) and (v) in an Australian context. Hence, for the short term, DTC testing will likely remain a controversial, unregulated market run through overseas websites. It is the duty of the TGA to inform the public about the risks of these products, and the duty of the health system to support those who do choose to purchase a test. As a medical community, therefore, we should be wary of the current range of DTC tests, but also open-minded about the possibilities for a future partnership. If we get it right, the potential payoff for preventative medicine is huge. 23andMe. Genetic testing for health, disease and ancestry. Available from: www.23andme.com. Trent R, Otlowski M, Ralston M, Lonsdale L, Young M-A, Suther G, et al. Medical Genetic Testing: Information for health professionals. Canberra: National Health and Medical Research Council, 2010. Perrone M. 23andMe’s DNA test seeks FDA approval. USA Today Business. 2012. Ramani D, Saviane C. Genetic tests: Between risks and opportunities EMBO Reports. 2010;11:910-13. Miller N. Fine print hides risk of genetic test offer. The Age. 2010. 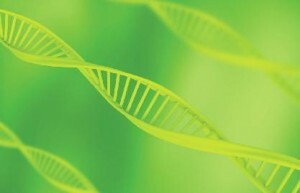 Position statement on genetic testing – 2012. Australian Medical Association, 2012. Human Genetic Society of Australia. Issue Paper: Direct to consumer genetic testing. 2007. Clinical Utility of Personalised Medicine. NHMRC. 2011. Knight C, Rodder S, Sturdy S. Response to Nuffield Bioethics Consultation Paper ESRC Genomics Policy and Research Forum. 2009. Hood C, Khaw KT, Liddel K, Mendus S. Medical profiling and online medicine: The ethics of personalised healthcare in a consumer age. Nuffield Council on Bioethics. 2010. Direct to Consumer Genetic Testing: An information resource for consumers. NHMRC. 2012. Green SK. Getting personal with DNA: From genome to me-ome Virtual Mentor. 2009;11(9):714-20. Bloss CSP, Schork NJP, Topol EJM. Effect of Direct-to-consumer genomewide profiling to assess disease risk. N Engl J Med. 2011;364(6):524-34. Caulfield T, McGuire AL. Direct-to-consumer genetic testing: Perceptions, problems, and policy responses. Annu Rev Med. 2012;63(1):23-33. Powell K, Cogswell W, Christianson C, Dave G, Verma A, Eubanks S, et al. Primary Care Physicians’ Awareness, Experience and Opinions of Direct-to-Consumer Genetic Testing. J Genet Couns.1-14. Frueh FW, Greely HT, Green RC. The future of direct-to-consumer clinical genetic tests Nat Rev Gene. 2011;12:511-15. Sandroff R. Direct-to-consumer genetic tests and the right to know. Hastings Center Report. 2010;40(5):24-5. Use and disclosure of genetic information to a patient’s genetic relatives under section 95AA of the Privacy Act 1988 (Cth). NHMRC / Office of the Privacy Commissioner, 2009. Barlow-Stewart K, Keays D. Genetic Discrimination in Australia. Journal of Law and Medicine. 2001;8:250-63. Otlowski M. Investigating genetic discrimination in the Australian life insurance sector: The use of genetic test results in underwriting, 1999-2003. Journal of Law and Medicine. 2007;14:367. Essentially Yours: The protection of human genetic information in Australia (ALRC Report 96). Australian Law Reform Commission, 2003. Taylor S, Treloar S, Barlow-Stewart K, Stranger M, Otlowski M. Investigating genetic discrimination in Australia: A large-scale survey of clinical genetics clients. Clinical Genetics. 2008;74(1):20-30. Barlow-Stewart K. Life Insurance products and genetic testing in Australia. Centre for Genetics Education, 2007. Davey JW, Hohenlohe PA, Etter PD, Boone JQ, Catchen JM, Blaxter ML. Genome-wide genetic marker discovery and genotyping using next-generation sequencing. Nat Rev Genet. 2011;12(7):499-510. Saunders CL, Chiodini BD, Sham P, Lewis CM, Abkevich V, Adeyemo AA, et al. Meta-Analysis of Genome-wide Linkage Studies in BMI and Obesity. Obesity. 2007;15(9):2263-75. Food and Drug Administration CeLnter for Devices and Radiological Health. Direct-to-Consumer Genetic Testing and the Consequences to the Public. Subcommittee on Oversight and Investigations, Committee on Energy and Commerce, US House of Representatives; 2010. Mrazek DA, Lerman C. Facilitating Clinical Implementation of Pharmacogenomics. JAMA: The Journal of the American Medical Association. 2011;306(3):304-5.